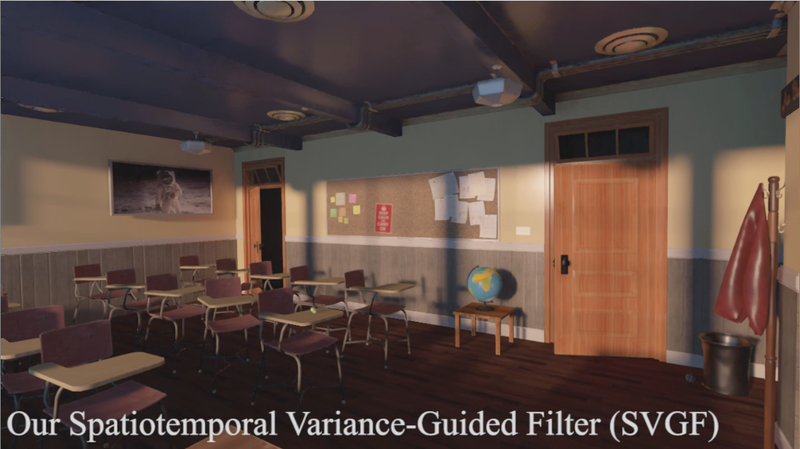 The spatiotemporal filter approach looks amazing - like truly amazing and amazingly usable but it has a problem with lag between the GI and the geometry itself which makes it kind of unusable for games... seeing especially shadows to lag behind after objects so much would be painful to endure and gamers would laugh their asses off. The new Nvidia AI filter looks amazing too - no lags but the result is softer than that of the spatiotemporal filter! But costs 50ms on a Pascal Titan which is too much..